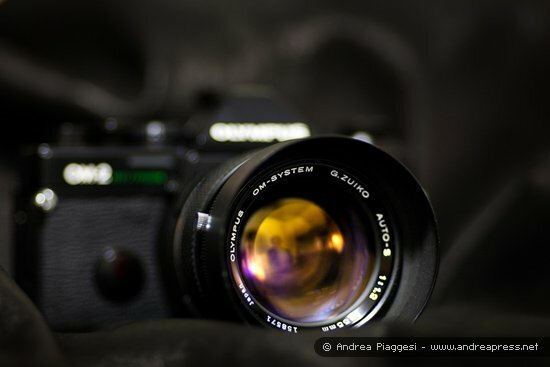 I’ve been shooting with an Olympus OM-2S (Spot/Program) film camera since about 4 months and now I think it’s time to spend few words about it. 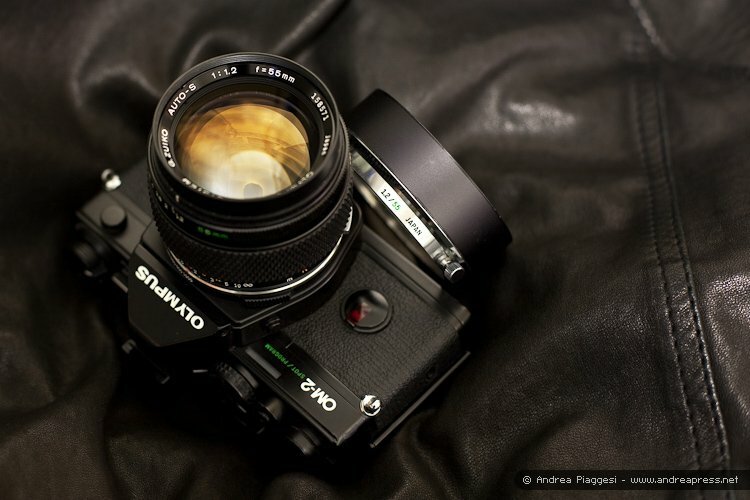 I’ve chosen the OM-2S version of the OM series because (I admit it) I like a little bit of comfort and, despite all the contrasting opinions about this body and its reliability, I’ve preferred a modern revision of the acclaimed OM-1. The 2S is the evolved version of the OM-2n, it inherits the same OM electronic body and adds some nice features like the spot metering, ASA 3200 and LCD indicators in the viewfinder. 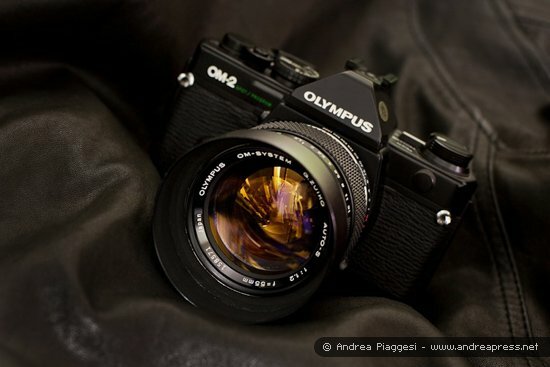 Yes I know: a real Olympus purists would prefer a classic and fully manual OM-1. The lens I’m actually using on my 2S body is the Zuiko 55mm f/1.2 and probably this glass is what makes the camera so much enjoyable. Even if the lens is very fast – that usually means big size and heavy weight – this 55mm is very compact and light; in fact Zuiko lenses like this are notoriously compact and light. 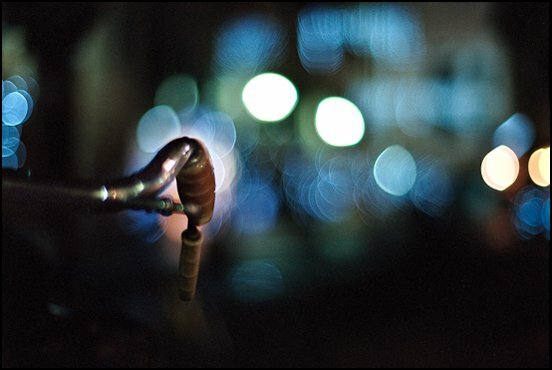 Obviously it doesn’t reach the performance of a modern fast lens like the Canon 50mm f/1.2, but it gives a nice look to the pictures and it has a stunning “out of focus” (now we have to call it “Bokeh”) effect that I really like. So, the Zuiko is a little bit soft when it’s used wide open but, if you’re evaluating it you should consider its price and age too, in particular our lens is so much cheap compared to a ultra-fast Canon glass or something like. if you stop down 2 stops the “cats eye” bokeh in the shot above (lenticular out of focus highlights in background) might go circular. The more (curved) aperture blades in the lens iris the better for the aforementioned circularity! That’s an exquisite camera lens combo! thanks for the suggestion, I’ll try to get a similar effect with a lower aperture as soon as possible. 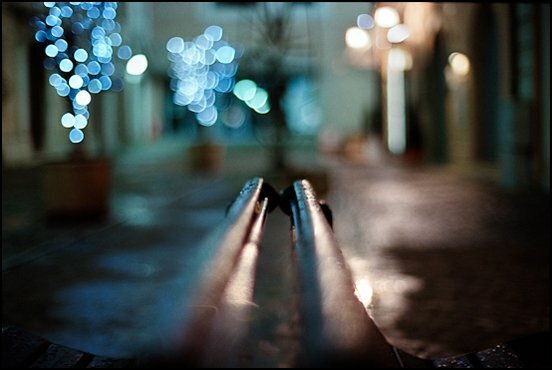 I usually stop down the lens to improve the image sharpness but I have to try this with a similar scene. blog.andreapress.net – da mejor. Guardar va! This is an interesting article. Thanks for sharing. Your site is very useful for me .I bookmarked your site! My S/P is in the post, so I am looking around.